At ÉSOPHY we excel in designing creative and innovative concepts. We are delighted to discuss your ideas and find the most special gift for your needs. We will always try to meet your budget and we can take care of delivering orders to your venue. Whether a personalized small box of chocolates, a bespoke creation or a specialized hamper, we are happy to discuss your needs and requirements, and create the perfect gift. 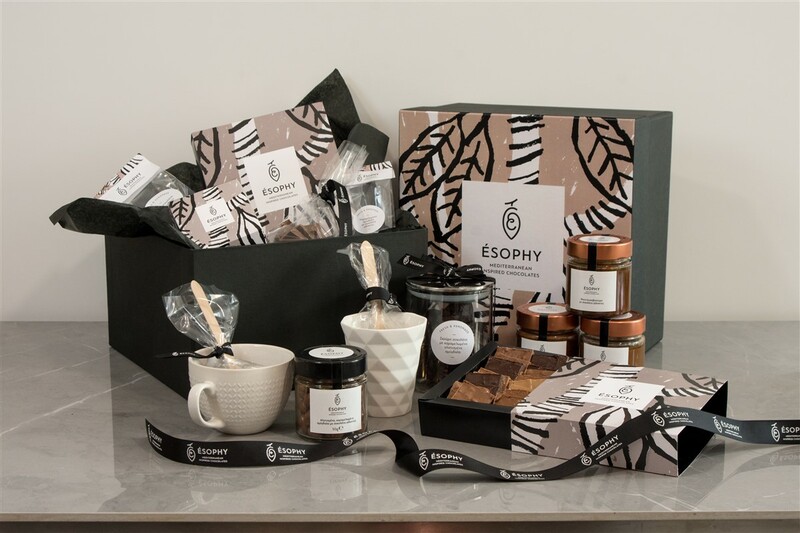 At ÉSOPHY, we are delighted to design the most special favors for your day! Our chocolatiers can create unique flavors just for you, in special packaging based on your needs. Chocolate for parties can also be ordered and delivered at your venue. If you need something special for a client, or for an occasion, we would be happy to discuss your ideas and requirements and design the perfect gift or event. From a goody bag to a VIP tasting event, we will cater to every detail for a successful outcome.